I am still teaching a limited number of performance classes. If you have interest in AKC Rally obedience, or Rally-Free (Rally with Freestyle Elements), please feel free to contact me for class info. Looking for Sound and Sensible Dog Training Advice? 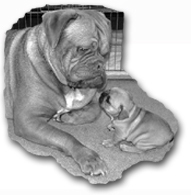 Canine Behavior Services offers free Weekly Dog Behavior & Training Tips, delivered right to your Inbox. Get the most out of your relationship with your best friend - sign up today!